In Episode# 03 we covered some great thoughts. As it's only our third episode ever we are getting some great feedback on how we can be great and provide our community with great value. One of the things is to spend a little bit more time instead of rushing thru. One of our goals what to keep the podcast short so we found ourselves covering too much ground too fast. We'll work to do better! Millenials and the MANY options for what to do after high school compared to was not so long ago. With this in mind we also talked about how recently on a Carey Nieuwhof podcast #69 it was suggested that everyone agrees that 28 is the new age of adulthood. You can imagine how these 2 factors can cause a lot of confusion and wandering. We then dug in deep to when is an arm touch simply an arm touch and not a sign or flirt. This can be amazingly confusing and rest assured, we weren't able to unlock the riddle. 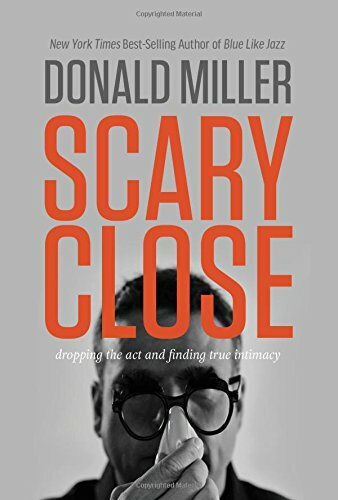 We talked about was our favorite author Donald Miller and his most recent book Scary Close. We love this book as it talks frankly about relationships and how we can really mess them up but also how we can correct them. Fantastic book. A must read. Do you love and respect yourself? We touched on the importance of this in our lives. Let us know your thoughts and views on the topics covered or even what you'd love for us to cover. We are available on our Socials so hit us up!